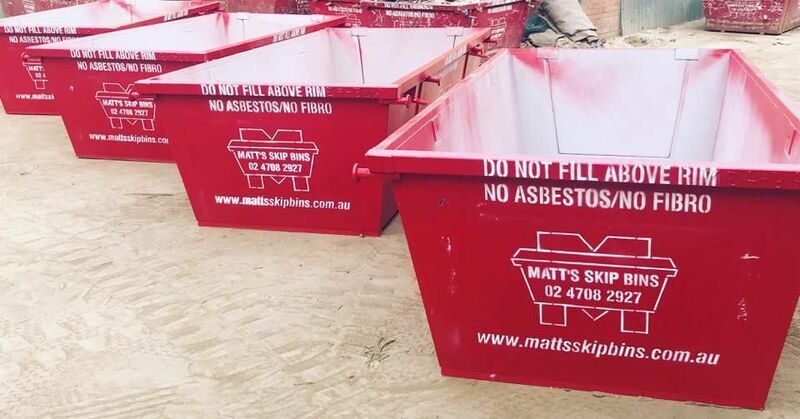 Make light work of heavy items with Matt’s Skip Bins and our 4 cubic metre skips. Measuring in at 3.3m x 1.6m x 1.0m, these bins are especially useful when you’re disposing of large items in your clean up. Take the heavy lifting out of your home clean-up with skip bin delivery throughout Penrith, Oran Park, the Blue Mountains, Windsor and the entire Western Sydney area. Based in Penrith, we offer convenient hire periods, prompt delivery, collection and the right bin for your job. 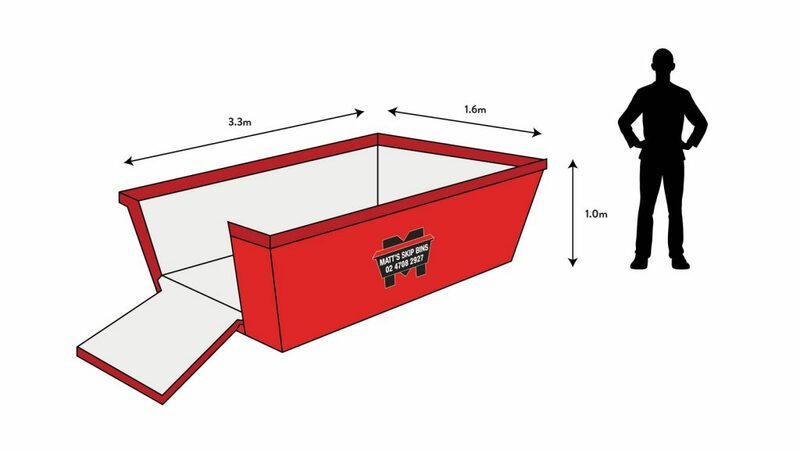 If you’re not sure if 4 cubic metre skip hire is right for you, we have more than 150 bins in a range of different sizes. Check out this guide to skip bin sizes to find the right one for you. Disposing of furniture, plastic, light timber, etc. How Much Can I Fit in a 4 Metre Bin? A 4 cubic metre bin has roughly the same amount of space as 4 standard car trailer loads. In terms of heavy materials, this amounts to 6 tonnes of rubbish such as dirt, bricks and concrete. We will always keep you in the loop regarding what you can and can’t put in our bins and we’ll also let you know when extra charges might apply. You can start by exploring our guide or giving us a call for personalised advice. A 4 cubic metre bin is the easy, affordable way to make your next job easy. Reserve your bin online now and choose a hire period that suits you. For any questions, simply contact us online or give us a call on 02 4708 2927.